Product Specs: • Easy to use and storage, perfect for home DIY facial. 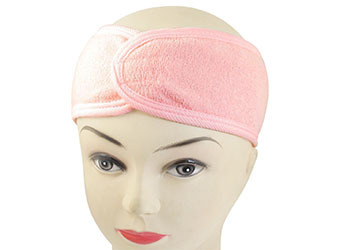 • Natural Cellulos..
Descriptions: Cotton Blends Material, Pink Color, Hook Loop Fastener Spa Headband. .. Description: Knotted Knot Headband Twisted Headband Turban Twist Headband ..
Descriptions: Features: Cotton Blends Material, Pink Color, Hook Loop Fastener Spa.. Description: Soft breathable and comfortable to wear Made from Soft Cotton ..